Harvard School of Public Health suggests eating at least 20g of fiber a day. There are certainly many different food sources that you can get your required daily fiber requirements. In the list below, you will notice that Kellogg’s Special K, advertised as a healthy breakfast food, contains less than 1 g of dietary fiber, only three percent of the RDA! General Mills’ Fiber One and All-Bran Kellogs fullfil the RDA requirements. The following nutrition information does NOT include milk. Remember to read the nutrition label for other ingredients included. 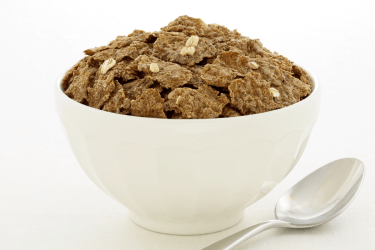 Conclusion: Although many foods or cereals may seem to be healthy or include fiber, you may be shocked when you actually read the Nutrition label. Take the time to read it. It only takes a few seconds!